Summary from Goodreads: Blood sings to blood, Froi . . . I had high expectations for this second book in the Lumatere Chronicles - everyone told me that it was even better than Finnikin of the Rock. In some ways, the high praise made me nervous, but I shouldn't have been - the book definitely lived up to what everyone said! Complex characters (Froi). One of the best things about this series is how complex the characters are. After all, Froi nearly raped the Queen in book #1 and he's the hero in this book! I have to confess that I was slightly skeptical of Froi as a main character - I wasn't completely and totally won over by him in the first book. But he definitely won me over in this book - mainly because he didn't let himself off the hook. Froi doesn't think that he can ever escape his past - who he was or the things he did while growing up on the streets. He doesn't forgive himself. Which gives us time to. Reading the book from Froi's perspective, we realize what drove him, and we get to see how completely dedicated he is to becoming a better person. The more that Froi learns about himself, the more he becomes convinced that he is truly hopeless - and the more the reader sees hope in him. I loved that dichotomy! Froi never became a complete knight in shining armor, but he was a hero nonetheless. Quintana. Quintana is another complex character. She is, in many ways, unlikable - constantly on the edge of madness, often savage. But Froi saw strength in her, and he recognized her desperation. He treats her with a kindness and a respect that no one else does - and we are able to see her through his eyes, as a person not a monster (which is how most people see her). Once we learn the cause of her madness, Quintana's story becomes even more complex! Secondary characters. 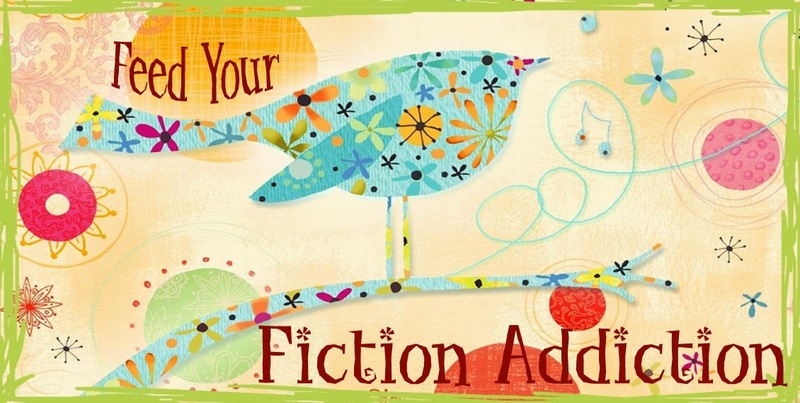 There are many strong secondary characters in the book as well. And, the lines between the "good guys" and the "bad guys" becomes increasingly blurry (which you know I love!!). These characters are amazingly drawn - no two-dimensional characters here! Froi's quest. On the one hand, Froi's quest is cut and dry - he is sent to kill the King. But nothing stays so simple. Froi learns things along the way that confuse him - he starts to question himself - to wonder where his loyalties lie (or, at least if they can lie in more than one place). This book keeps you guessing - I never knew what was going to happen next!! The beginnings of the romance. At first, I had a bit of trouble connecting with Quintana (because she was a bit unlikable), and I didn't quite see what Froi saw in her. Her savage nature actually attracted Froi, but I didn't quite see it. As the book went on, I was able to connect with the romance more, though. 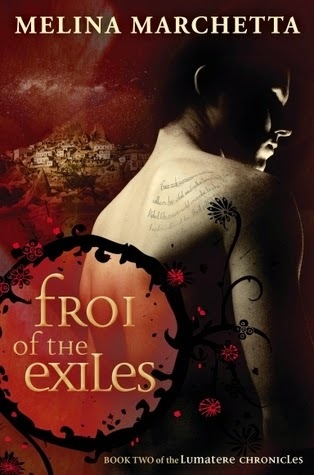 Froi of the Exiles was an amazing follow up to Finnikin! I can't wait to read Quintana of Charyn! 5/5 stars.